This past weekend, March 4-6, marked Loras’ annual Siblings Weekend. 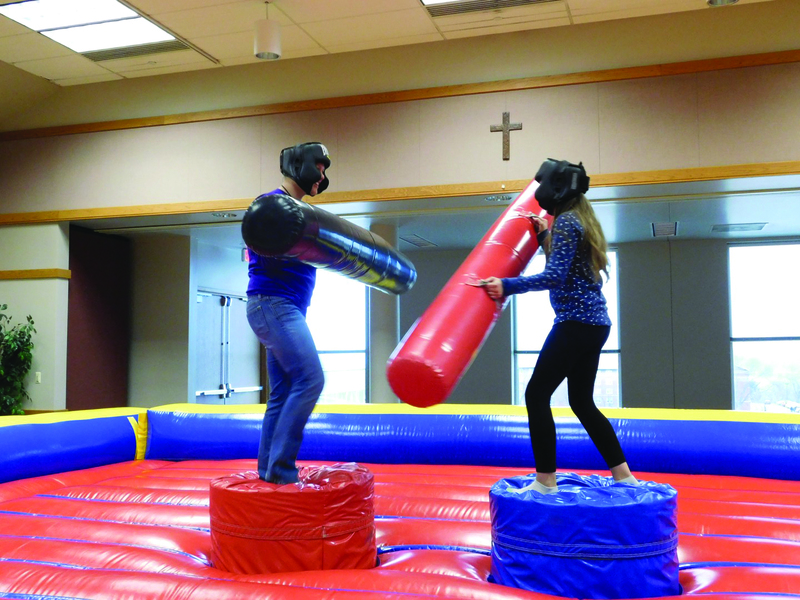 Like Family Weekend held in the fall, Siblings Weekend specifically allows brothers and sisters of current Duhawks to spend a weekend at Loras College and participate in a variety of fun activities. 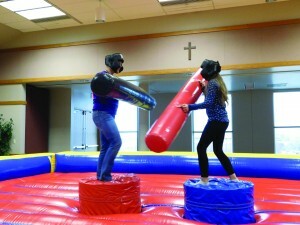 The events, sponsored by Loras’ College Activities Board, gave siblings a non-stop schedule of activities to allow them to experience Loras and bond with their brother or sister. 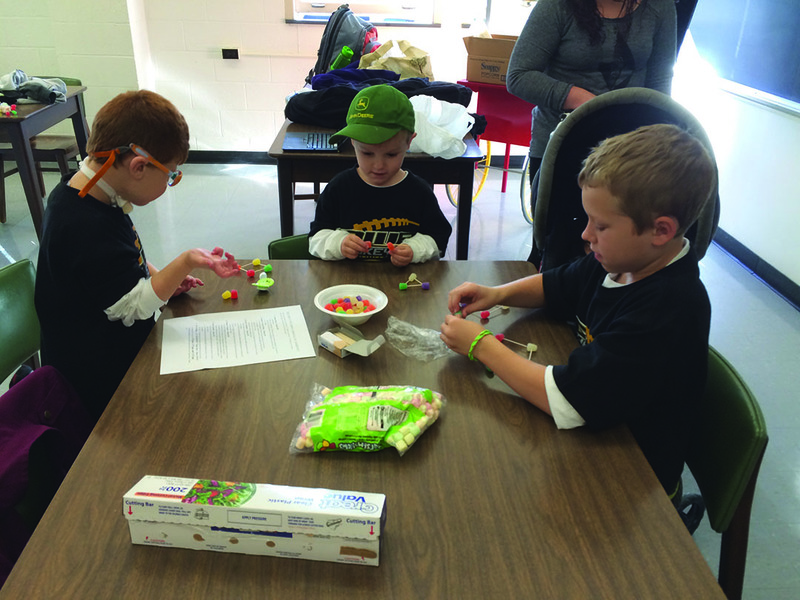 Upon arrival to campus, each sibling received a drawstring bag from Loras with a t-shirt, candy and meal tickets. The night kicked off with a men’s volleyball game against Marian University, which ended right before CAB’s next event: hypnotist Larry Volz in the ACC Ballrooms. An award winning magician, Volz has entertained crowds both large and small. Volz’s show filled the ballrooms with siblings, and even other Loras students came to see the show. He pulled out a variety of magic and hypnotism tricks for Duhawks and siblings, including the classic silver ring trick, pulling a coin from behind someone’s ear, and convincing a student to think that a roll of toilet paper was disappearing. Each trick spurred a laugh from the crowd before a round of applause for the magician. After Saturday morning’s brunch in the Café, siblings were in for another packed day with activities. Students and siblings ran up the stairs after brunch to a fun-fair in the ACC Ballrooms. Filled from corner to corner with activities, siblings painted mini canvases, played Wii games on a large projector screen and jousted at an inflatable ring. From there, siblings and Duhawks were put to the test with a treasure hunt around campus. Each team explored campus to find letters at each location, including Graber, Einstein Bagels, the mailroom and the Pub. The scavenger hunt was especially exciting as siblings of all ages could participate. After enjoying some walking tacos for dinner, the night got even more exciting with laser tag in the Fieldhouse. Teams of five people were put to the test to see which team would emerge victorious. Siblings Weekend concluded on Sunday morning with 10 a.m. mass, presided by Fr. Dennis Miller. In his homily, he talked about the importance of family and siblings, encouraging everyone to be ambassadors of their faith, regardless of their age. Sunday brunch in the Café rounded out the weekend before siblings left campus in the hopes of returning next year. The next major CAB event is Glow Zumba, which will take place on Friday, April 1 at 7 p.m. in the ACC Ballrooms.